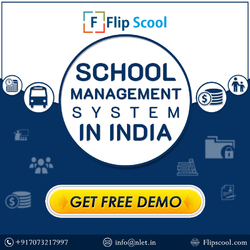 ​Flipscool is all-in-one School Adminstration Software​. It has so many features. These ERP system can be used by Parents, teachers, admin, students, accountant, receptionist. It is cloud based software. We can use it via our mobile, laptop or any multimedia device. For more details visit us.